A fun police-car theme creates a new world of imagination and pretend with this Cozy Coupe riding toy. Kids love the working door and foot-to-floor movement. It's easy for kids to start and stop! Unlike other riding toys - the Cozy Coupe can be used inside or out. Now this kids police car has a whole new look! Perfect to use indoors or out. 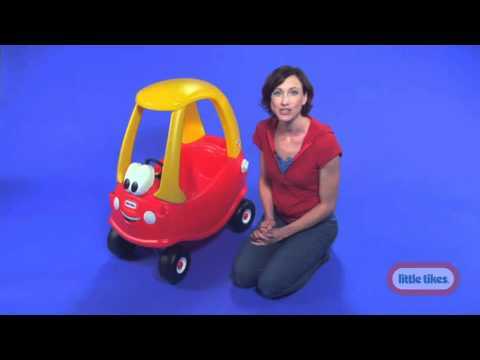 The Tikes Patrol Cozy Coupe Car encourages active play imagination and the development of large motor skills. * Weight limit up to 50 lbs. My daughter in New Zealand tells me that the package arrived in perfect condition - thankyou for making sure of that. The actual product has been received with great enthusiasm and is very popular with my grand-daughters and their friends. A great success. Thankyou for that also.